Music students as well as many experienced musicians find learning to identify harmonic intervals in music (two notes heard at the same time) more difficult than melodic intervals (two notes heard consecutively). With melodic intervals it's relatively easy. You hear one note clearly, then the next, then you learn to recognise the 'jump' from one to the other. Harmonic intervals, however, aren't so easy because with both notes being sounded at the same time, they seem to get in each other's way. Fortunately, there's also the distinctive harmonic effect that each harmonic interval produces, and that can be used in addition to (or even instead of) hearing and recognising the intervals melodically. 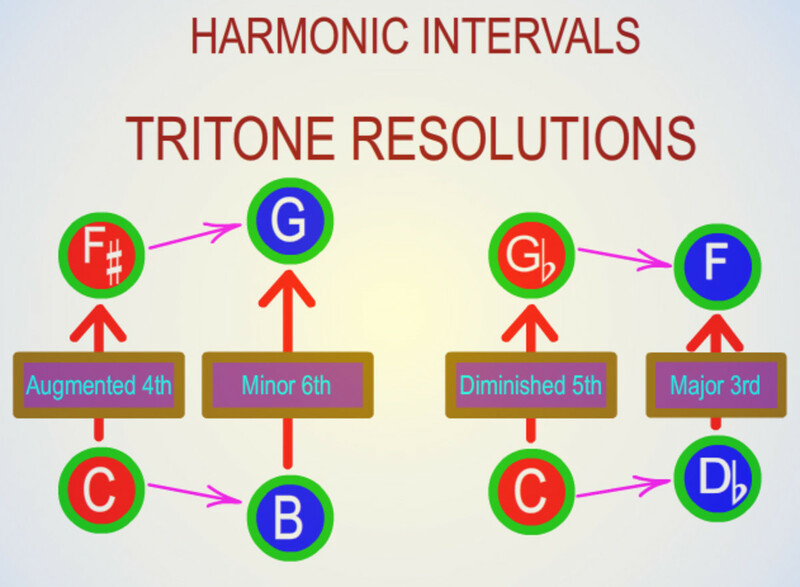 This lesson is about recognising the harmonic effects of harmonic intervals. Watch the video and pay attention to the harmonic effects of each interval as it's shown and played. If you have a harmonic instrument handy, such as a guitar or keyboard, pause the video wherever you like and play the same intervals in various places on your instrument. Listen for effects that they have in common. Harmonic effects can't be described accurately in words, so try to associate a feeling with each effect. Repeating the interval frequently makes the association stronger, deeper and quicker. Here are all the points covered in the video lesson with more detailed information added. When two musical notes are sounded at the same time, the interval between them is called a harmonic interval. When we listen to a harmonic interval, we can hear three different things: the lower note, the higher note and the harmonic effect caused by those notes combining. The harmonic effect is determined by the pitch relationship between the notes rather than the individual pitches of the notes. The notes of harmonic intervals either blend or clash. Those that blend are described as consonant; those that clash are dissonant. Although it's partly subjective, there's general agreement about which ones are dissonant and which are consonant. 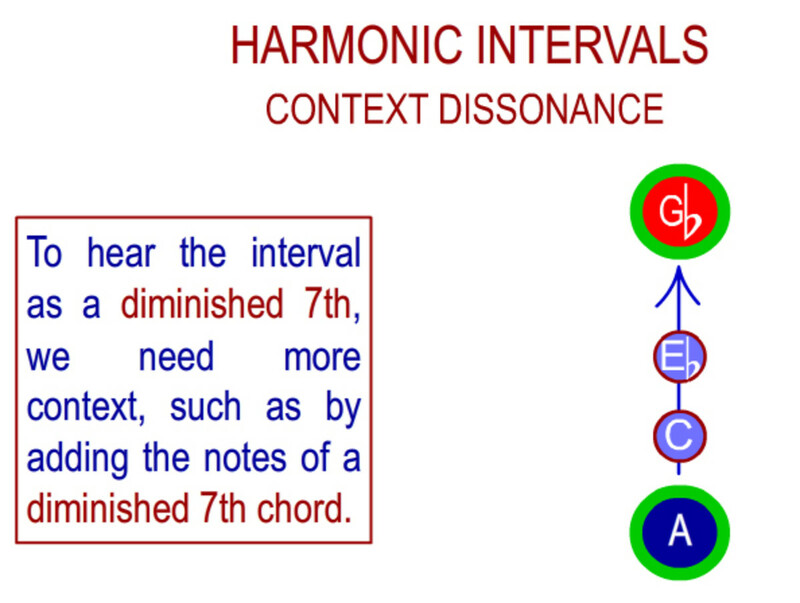 Dissonant intervals are no less important than consonant intervals. They produce tension in music, which is an essential component. Music without dissonance can be very bland. Interval types or 'quality' are: PERFECT, MAJOR, MINOR, AUGMENTED and DIMINISHED. 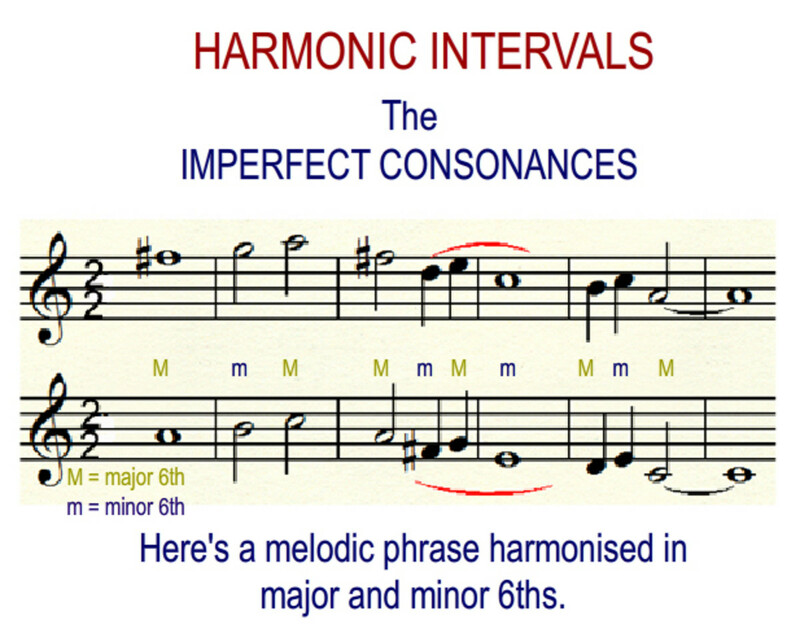 All perfect intervals are consonant. All augmented and diminished intervals are dissonant. Major and minor 3rds and 6ths are consonant. They're not as consonant or pure as the perfect intervals, so they are called 'imperfect consonances'. Major and Minor 2nds and 7ths are dissonant. Perfect intervals are the unison, octave, perfect 4th and perfect 5th. 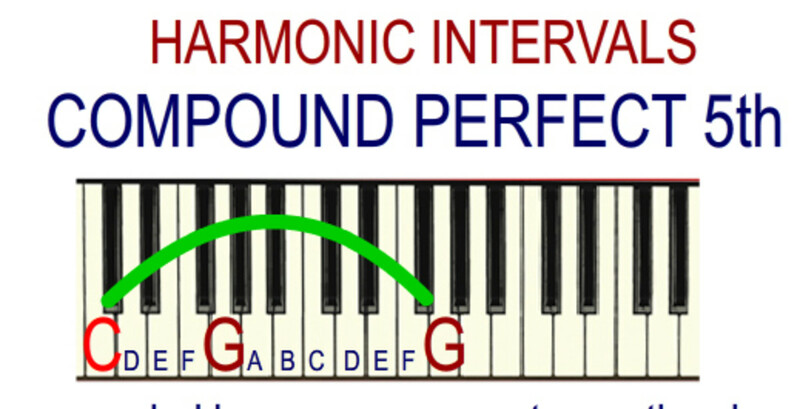 Perfect intervals are highly consonant and have a very pure sound because they have very simple pitch relationships. A unison is the interval between two notes of exactly the same pitch. It's an interval in name only. There is no harmonic effect present. Two (or more) people singing the same tune at the same pitch are said to be singing in unison - not in harmony. An octave, or to be more precise, a perfect octave, is the 12 semitone interval between any note and the next nearest note of exactly the same name higher or lower in pitch. It has to be exactly the same name. A to the next higher A is a perfect octave. A to A flat isn't; it's a diminished octave. Like the unison, the perfect octave has virtually no harmonic effect. Perfect 5ths are the next most consonant interval after the octave. They (and perfect 4ths) have a pure and hollow sound that led to their use in medieval Gregorian Chant as the earliest harmony. The style is called organum. Most chords contain a perfect 5th interval above the chord's root, but because of its purity, like the octave, it adds very little to the harmonic effect of the chord and is often omitted with no significant lessening of the chord's harmonic effect. 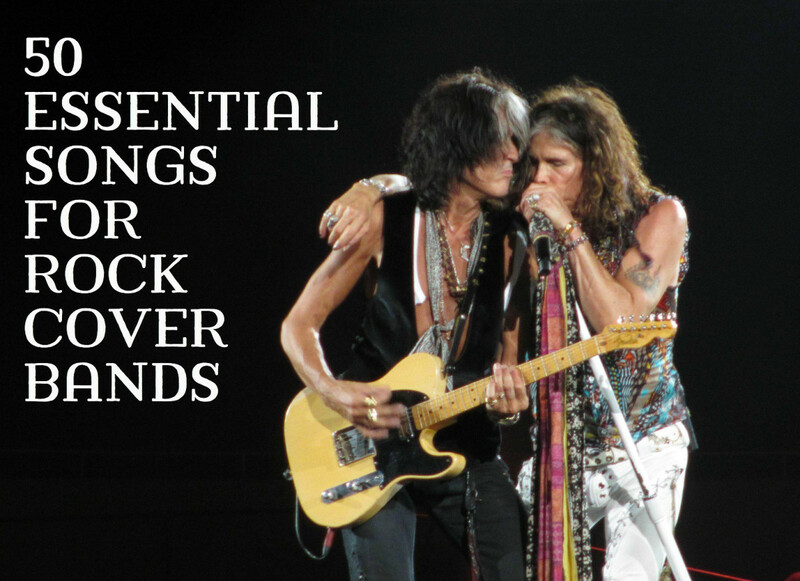 Guitar Power chord-driven rock music is where bare perfect fifths are most commonly heard these days. If an interval is greater than an octave, it's a compound interval. As the example in the video shows, C to the G (one octave higher than the next higher G) is a compound 5th. Compound intervals have more or less the same harmonic effect as their corresponding simple version. 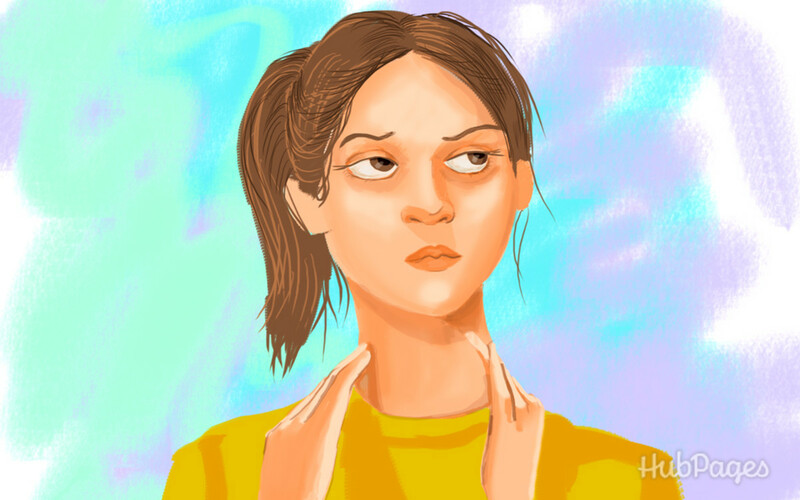 Some compound intervals are more commonly referred to in terms of the number of scale degrees. A compound major or minor 2nd, for example, is most often referred to as a major or minor 9th. The perfect 4th is similar in harmonic effect to the perfect 5th, and it can be difficult to tell them apart. One way is to revert to hearing them melodically. That is, if the interval lasts long enough, try to mentally separate the notes of any perfect 4th or 5th and calculate whether there are four or five scale steps separating them by singing up the major scale. Most intervals in real music don't hang around long enough to do that, so you have to focus more on the harmonic effect. One difference in their harmonic effect is the perceived dissonance of the perfect 4th. Although it's one of the perfect intervals and is pure and consonant in its own right, when heard in certain musical contexts it will sound dissonant as the example of a sus 4 chord resolving to a major chord shows. Basically, if a note is a perfect 4th above a bass note in a context that is based on intervals of 3rds (like most Western music is), it will usually sound dissonant. 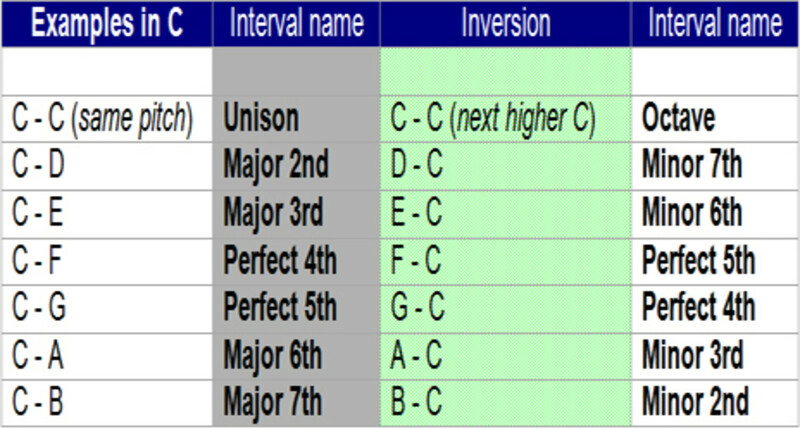 The intervals of major and minor 3rds and their inversions, minor and major 6ths are classed as imperfect consonances. Their pitch ratios are a little more complex than those of the perfect intervals, which gives them more character. Their harmonic effect is less pure but more interesting, and these intervals are the basis of modern mainstream harmony. Major and minor 3rds are the true basis of mainstream Western harmony, which is why it's called tertian harmony, i.e., based on 3rds. 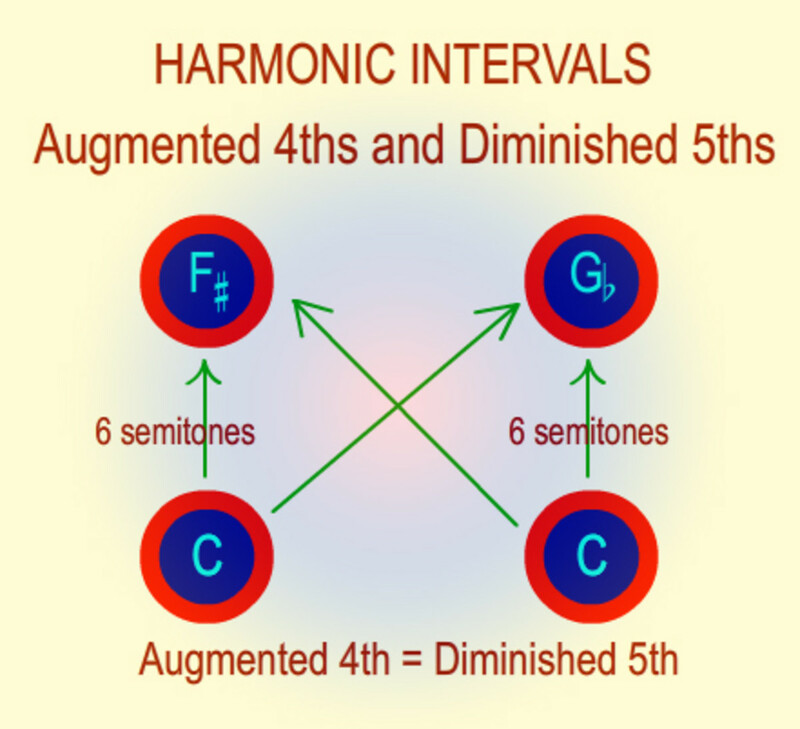 Other harmonies such as quartal harmony also exist where 4ths are the main harmonic unit, but the vast majority of Western music, from classical to folk to blues, pop and rock is tertian, i.e., based on intervals of major and minor 3rds. Listen to the difference in their harmonic effect. Major 3rds are thought of as strong, bright, upright, stable, while minor 3rds are darker, melancholic and reflective. In a key based sequence of 3rds (as heard in the musical phrase in the video), the 3rds will be major 3rds or minor 3rds in order to fit the key. The most common use of these intervals is as inversions of minor and major 3rds. 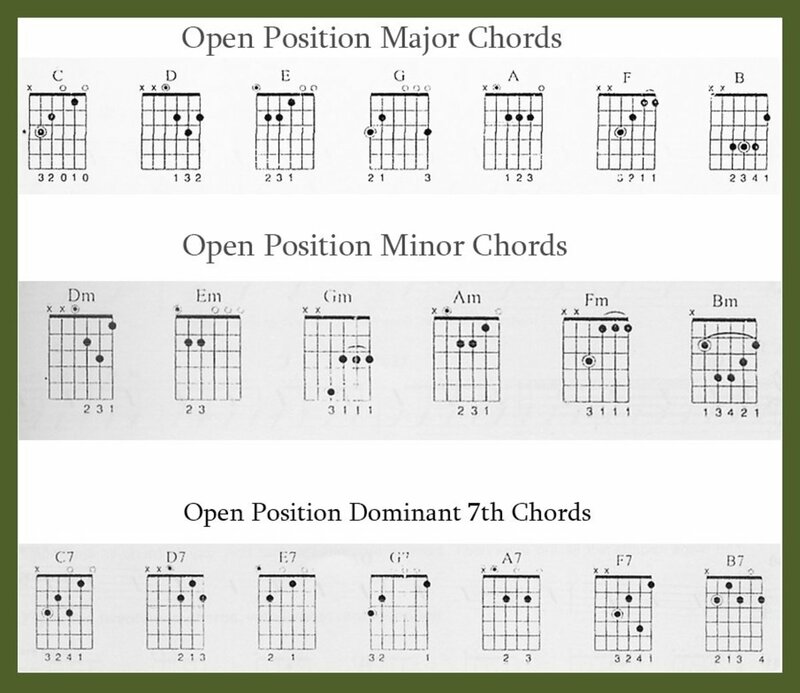 As C to E is a major 3rd, E to C is a minor 6th. As C to E flat is a minor 3rd, E flat to C is a major 6th. The harmonised melody in the video, as with harmonised 3rds, has major 6ths or minor 6ths in order to fit the key. All the intervals heard so far have been consonant intervals. The remaining intervals are all dissonant. Their notes clash and set up a tension and a (mostly conditioned) expectation in our minds for the interval to resolve to one that is consonant. They don't have to resolve, but in most cases they do. Whether simple or compound, major and minor 2nds are always dissonant. The minor 2nd (also called a diatonic semitone) is considered more dissonant than the major 2nd (also called a whole tone). These are both important harmonic intervals. 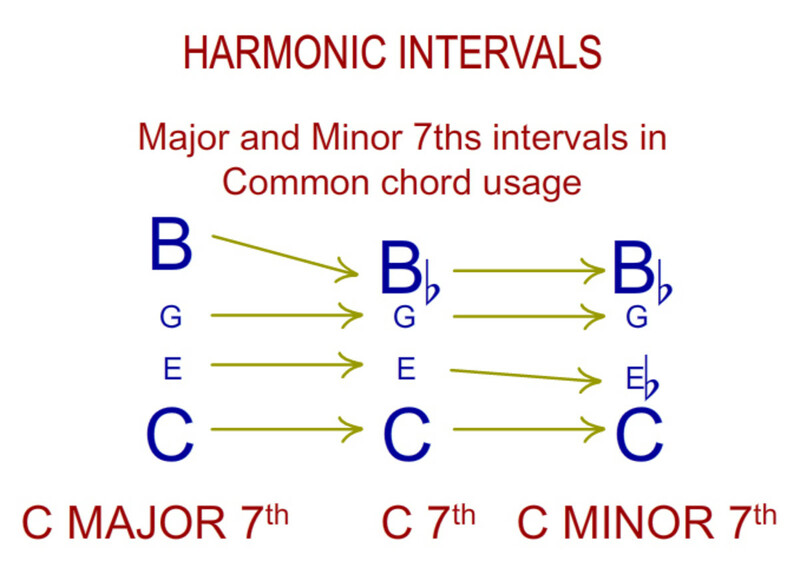 Major 7th intervals, unsurprisingly, are most commonly found in major 7th chords. 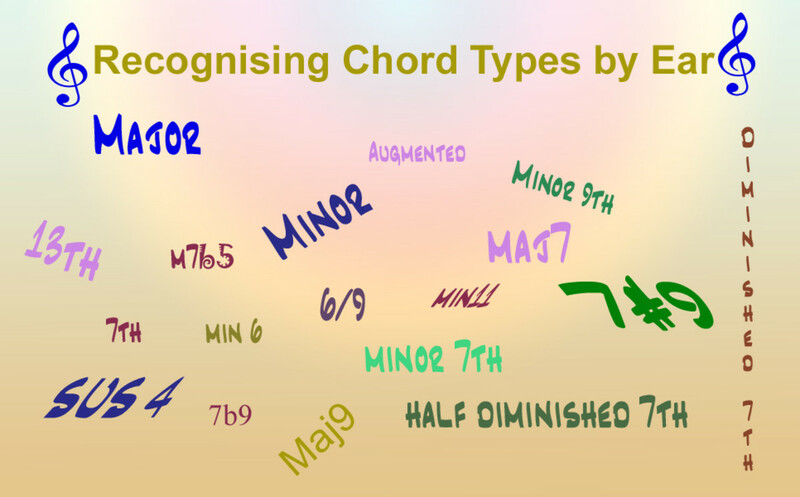 Minor 7ths are most commonly found in dominant 7th chords and minor 7th chords. Arguably, the most important interval in Western music, the tritone's pungent dissonance was shunned like the devil in medieval times, which is why it acquired the nickname of 'diabolus in musica' (the devil in music). It gradually found favour, however, and found its way into all forms of Western music. Tritones are important because they are the driving force behind tonal music. In fact, the defining chord of tonal music is the dominant 7th chord. It contains a dissonant tritone that resolves to the tonic chord. The augmented 4th and its inversion, the diminished 5th, are tritones. They are 6 semitones wide, or 3 whole tones, (hence tri-tone). That means they are also enharmonic equivalents of each other, which, in turn, means it's impossible to tell them apart unless there's a musical context that would point to one rather than the other. Tritones in tonal music have standard resolutions. All other intervals need to be heard in certain contexts in order to identify them because they are eharmonically equivalent to the ones covered above. If they're heard on their own, we're much more likely to hear them as their simpler and/or more common enharmonic equivalents. As the example in the video shows, a diminished 7th interval, which should be dissonant, sounds the same as a major 6th interval, which is consonant, until you bring in other notes that belong to the diminished 7th chord. Learning to identify harmonic intervals by recognising their harmonic effect is considered an important part of music training. With focused listening and lots of practice, it becomes easier to recognise the harmonic effects and to name the interval quickly and accurately. I will read all your Hubs ! Thank you for mentioning that. I hope to learn more and more about music and then share it with the other too. No problem Mickji - I'm glad you found it useful. I do have quite a few music theory hubs already that I hope you'll enjoy. I really thank you for your Hub ! As a newbe in the musical field I need to learn many thing. Many are very complicated and are impossible to learn without someone that helps your clarify every line. This is where Hub come handy. I really thank you and I also hope that you will publish more and more Hubs about music theory. Mickji_^^_. Thanks gsurvivor - it's appreciated. Thanks Lizzy and Rose. I'm glad you found it interesting and useful. Congrats on HOTD!! A very well-deserved award, to be sure! This was a superb explanation, and the video/audio example was extremely helpful and well done. I studied piano for 4 years, but you'd never know it. Later in life, I took a voice class in college, for fun, and also a music theory class...but it didn't stick well...can you believe, that was my first theory class? Out of my years of piano, that teacher never taught ANY theory! Thanks Sid - Hub of the Day! - Yeah, that was a pleasant surprise as it's not exactly a 'general interest' hub. That's great that you've recently discovered your musical ability. I hope you get many years of enjoyment from it. Thanks, this is an excellent hub. And an encouragement for your readers - it's never too late. I was told I couldn't sing as a child, and didn't try until I turned 50. I got some private singing lessons, and opened up a whole new side of my life in music. Thanks for helping us learn - the world will be a better place when everyone is more musical and harmonious.